Geisha gives you an opportunity to showcase your media in a fresh, elegant and abstract way. Fan spread is an attention grabbing detail alongside falling cherry blossom petals. This well organized project is extremely easy to customize and it comes with a video tutorial if you need some help. 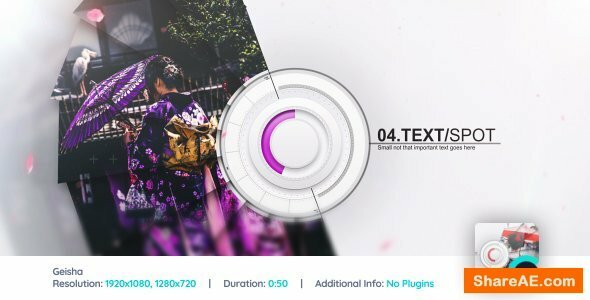 Drag your photos or videos, logo, type in your text and hit Render. You don’t need any 3rd party plugins in order to use this project. Control everything from one place – Control layer is included.